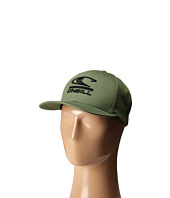 Ghetto Basic 2 Cap Quiksilver is the best and looks greatly style, just launch newly in today trend. 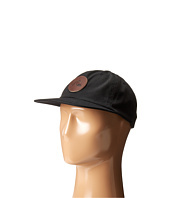 Your search for Ghetto Basic 2 Cap Quiksilver end here. 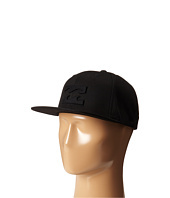 Don't waste your time to shop Ghetto Basic 2 Cap Quiksilver for now at online stores. 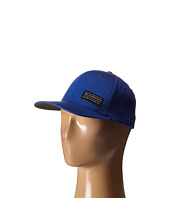 (19% off MSRP $26.00) O'Neill Size Chart Flexfit® X-fit hat provides optimal comfort. Embroidered logo featured at front and back. 6-panel design. 98% cotton, 2% spandex. Spot clean only. Imported. Measurements: Circumference: 21 in Brim: 2 3⁄4 in Product measurements were taken using size SM/MD. Please note that measurements may vary by size. 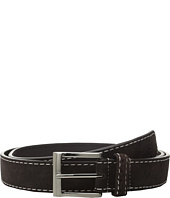 (20% off MSRP $45.00) You're a real sharp shooter with this smooth Calvin Klein™ belt. Made of leather. Single prong buckle has subtle logo detail. Silver-toned hardware. 1 1/4 width. Imported. Measurements: Width: 1 1⁄4 in First Hole Length: 41 in Last Hole Length: 45 in Weight: 6 oz Product measurements were taken using size 42. Please note that measurements may vary by size. 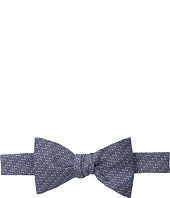 (36% off MSRP $25.00) Please note that this style is either discontinued and/or from a previous season. Get outdoors with the Horizon Ball Cap from The North Face®. 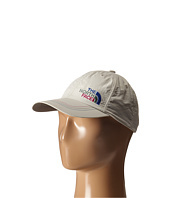 Lightweight cap made from nylon ripstop. Traditional, 6-panel construction. Embroidered eyelets for added airflow. TNF logo at front panels. Curved brim. Adjustable closure at rear. UPF 50 protection. Branded elastic sweatband. 100% nylon. Imported. Measurements: Circumference: 22 in Brim: 2 3⁄5 in Product measurements were taken using size LG/XL. Please note that measurements may vary by size. 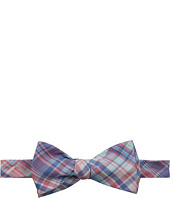 Please note that this style is either discontinued and/or from a previous season. Top off your outfit with the SBE Flex Ball Cap from The North Face®. 5-panel construction. Embroidered eyelets for added airflow. Bonded patch at front panels. TNF™ logo at rear. Flexfit® design for a custom fit. 97% cotton, 3% elastane. Spot clean. Imported. Measurements: Circumference: 22 in Brim: 2 3⁄4 in Product measurements were taken using size LG/XL. Please note that measurements may vary by size. 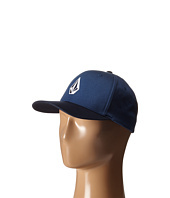 (30% off MSRP $23.00) Snap on the Volcom® Full Stone 6277 FlexFit® hat and give your noggin some swaggering style. Six-panel 6277 FlexFit® hat. Features a two-color Stone front embroidery and a one-color Volcom embroidery on back. 23.5 circumference. 63% polyester, 34% cotton, 3% polyurethane spandex. Hand wash cold. Do not bleach, wring, iron or dry clean. Measurements: Circumference: 23 1⁄2 in Brim: 2 1⁄2 in Product measurements were taken using size LG/XL. Please note that measurements may vary by size. 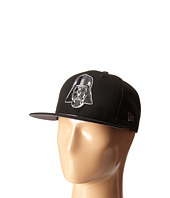 (28% off MSRP $28.99) Bring your style over to the dark side of the Force with the New Era® Side Crest Darth Vader hat! Collaboration with Star Wars®. New Era® 9Fifty™ snapback hat. Six-panel construction in a high crown. 3-D embroidered Darth Vader® logo adorns front. Embroidered detailing adorns side panel. Adjustable snap for a custom fit. 100% polyester. Imported. Measurements: Circumference: 22 in Brim: 2 3⁄4 in Product measurements were taken using size One Size Fits All. Please note that measurements may vary by size. (28% off MSRP $28.99) Style prevails when you throw on the red, white, and blue of the New Era® Side Crest Captain America hat! Collaboration with Marvel®. New Era® 9Fifty™ snapback hat. Six-panel construction in a high crown. 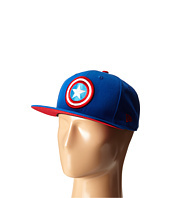 3-D embroidered Captain America® logo adorns front. Embroidered detailing adorns side panel. Adjustable snap for a custom fit. 100% polyester. Imported. Measurements: Circumference: 22 in Brim: 3 in Product measurements were taken using size One Size Fits All. Please note that measurements may vary by size. 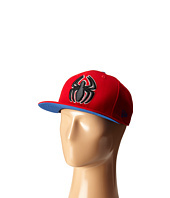 (28% off MSRP $28.99) Swing into action with the web-slinging good time of the New Era® Side Crest Spider-Man® hat! New Era® 9Fifty™ snapback hat. Six-panel construction in a high crown. 3-D embroidered Spider-Man logo adorns front. Embroidered detailing adorns side panel. Adjustable snap for a custom fit. 100% polyester. Imported. Measurements: Circumference: 21 1⁄2 in Brim: 2 3⁄4 in Product measurements were taken using size One Size Fits All. Please note that measurements may vary by size. 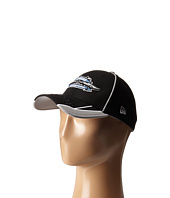 (36% off MSRP $27.99) You're in the driver's seat to Nascar® glory with the stylish and breathable New Era® Team Illusion NASCAR® hat! 39thirty™ design offers a stretchy fit. 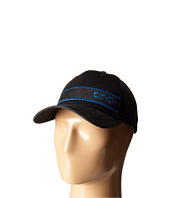 Traditional six-panel construction with a curved visor. 3-D embroidered logo adorns front. Custom detailing at brim with contrast piping offers a stylish look. Nascar® logo hit at back. 100% polyester. Imported. Measurements: Circumference: 21 in Brim: 2 3⁄4 in Product measurements were taken using size SM/MD. Please note that measurements may vary by size. 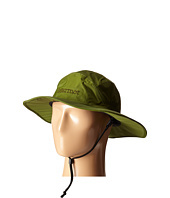 (38% off MSRP $48.00) Stay protected and covered with the PreCip Safari Hat from Marmot®. Full-brim protection. Adjustable and detachable chin strap for a perfect fit. Seamsealed for waterproof protection. Interior lined with DriClime® to keep you dry, warm and comfortable. Floatable. Magnetic side closure for up or down brim. Materials: 100% nylon. Lining: 100% polyester Hand wash cold, dry flat. Imported. Measurements: Circumference: 24 in Brim: 3 in Product measurements were taken using size XL/XXL. Please note that measurements may vary by size. 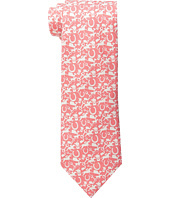 (60% off MSRP $95.00) vineyard vines Size Chart Secure a spot in the winner's circle with this captivating vineyard vines® tie! 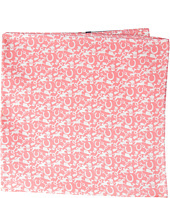 Allover mini race horse with rider print. Luxurious imported silk. Double wool-blend liner. vineyard vines logo at back. 100% silk. Dry clean only. Made in the U.S.A. and Imported. Measurements: Width: 3 1⁄4 in Length: 59 in Product measurements were taken using size 58. Please note that measurements may vary by size. 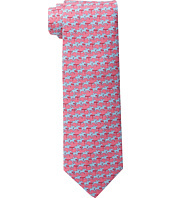 (49% off MSRP $95.00) vineyard vines Size Chart Showcase refreshing style when things heat up with a whimsical vineyard vines® tie! 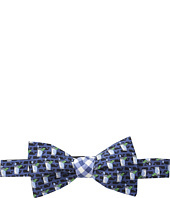 Allover mini mint julep and whale print. Luxurious imported silk. Double wool-blend liner. 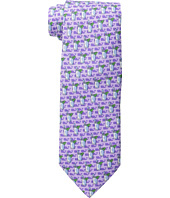 vineyard vines logo at back. 100% silk. Dry clean only. Made in the U.S.A. and Imported. Measurements: Width: 3 1⁄4 in Length: 59 in Product measurements were taken using size 58. Please note that measurements may vary by size. 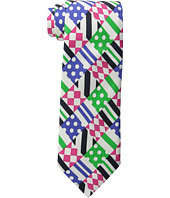 (49% off MSRP $95.00) vineyard vines Size Chart Make your mark with this patterned vineyard vines® tie! Derby theme patterns featured throughout. Luxurious imported silk. Double wool-blend liner. vineyard vines logo at back. 100% silk. Dry clean only. Made in the U.S.A. and Imported. Measurements: Width: 3 1⁄4 in Length: 58 in Product measurements were taken using size 58. Please note that measurements may vary by size. (49% off MSRP $95.00) vineyard vines Size Chart Set sail to new fashion heights in this head-turning vineyard vines® tie. Allover patchwork print. Luxurious imported silk. Double wool-blend liner. vineyard vines logo at back. 100% silk. Dry clean only. Made in the U.S.A. and Imported. Measurements: Width: 3 1⁄2 in Length: 59 in Product measurements were taken using size 58. Please note that measurements may vary by size. 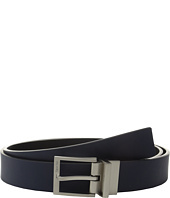 (25% off MSRP $24.00) No look is complete without a sleek belt! Made of genuine suede with contrast stitching. 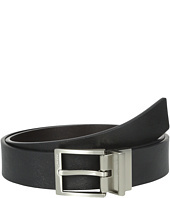 Polished single prong buckle with single strap keeper. Imported. Measurements: Width: 1 1⁄5 in First Hole Length: 42 in Last Hole Length: 46 in Weight: 6 oz Product measurements were taken using size 44. Please note that measurements may vary by size. (39% off MSRP $54.00) Click here for more information about Brixton hat sizing. Confidence is a necessity. Walk with your head held high in the Brixton® Messer Fedora. 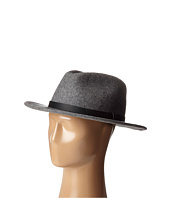 Wide brim felt fedora. Leather band. Logo emboss on band. 100% wool. Imported. Measurements: Circumference: 22 in Brim: 2 3⁄4 in Product measurements were taken using size LG (7 1/2). Please note that measurements may vary by size.